The Bosnian Spirit in Literature – What is it? The collection of poems entitled The Stone Sleeper by Mak Dizdar has long been in our bookshop windows and on readers, critics, and reviewers’ desks––who spared no effort or word to praise it, to call for yet another review, however affirmative it might already be. No less should I have anything special to add in this respect, since I have already declared myself an admirer of Dizdar’s poetry and have deeply appreciated him as a poet, if this were all to take place within the framework of a current review of the present collections of poetry. The reason why I should therefore try to say a word about Dizdar’s poetry is not hidden in the desire to support, maintain, or even deepen the already positive evaluations of an important literary development. The reason lies in my personal conviction that, in this case as in some other cases in our recent literature, there is found an extraordinary event for our Bosnian culture and literature, which requires, indeed demands, an extraordinary response. In other words, I am convinced that this poetry will be justly evaluated and properly recognized, only if observed in the light of the true and the most profound role it plays in the spiritual life of this people, namely, if evaluated from the perspective of establishing and affirming the culture, the experience, and the spirit of which it is a most excellent exemplar. A piece of poetry can be valued and deemed important not by the application of abstract, aesthetic, literary-poetic values to a subject with a cold and neutral expertise, but by the merger of those general, universal, aesthetic, poetic values with those specific qualities that characterize the experience, culture, mentality, history, destiny, and spirit of a people. What defines Mak’s poetry is its Bosnian spirit; this is its principal value for Bosnia. The spirit of a people is a subjective expression of the totality of its living conditions; it is the unique attitude toward life that constitutes a people as a specific historical existence. History is the actual source and medium through which it appears. This is why it is most strongly and fully expressed, on the one hand, in the language of a people who are living carriers of the historical experience and their way of perceiving the world and their destiny and, on the other hand, in the philosophy, in the contemplative gathering place of the historical experience, as the meeting point of its general distinctive features. In other cultural formations, this spirit is expressed partially; that is, only if and when these formations are in strong contact with history as the basis of the life of the entire people, mainly via language. Literature, in general, and poetry, in particular, is often the carrier of this spirit. This spirit is thus partially present in the literary works of spiritual creation even as in its totality this spirit reveals and exposes itself in all aspects of life. Since we do not have our own philosophy, it would appear that we do not have a popular spirit. The popular spirit is thus being blurred in the national spirit, which is defined by national language and literature and is expressed in national history. When it comes to Bosnia, the consequence of this historicism can clearly be demonstrated with many examples. By identifying the national spirit with the popular one, we have reduced our historical experience and our popular spirit to national experience, to the experience of national history and spirit. The most complete expression of this has become the national literature with popular language and spirit, as a whole, entering its horizons as if entering prehistory. Applied to Bosnia, this transformative model defined Bosnian literature according to its spirit as national literature and according to its thematic and perceptional content as regional literature. Such a reduction was a basis for even further diminutions that recognized Bosnian literature as being only Serbian or Croatian literature of a regional character. The literature of Bosniaks was either interpreted as being Serbian or Croatian or dismissed as oriental––strange and alien to the national spirit. The external medium thus overcame the internal spirit of that literature, while the manner and conditions in which it was emerging limited its internal potential and determined its definitions on the whole. The notion of Bosnian literature was thus applied to the works of Serbian literature, for example, works by Kočić, Ćorović, Šantić, Marković, Jeftić, Palavestra, and Andrić, primarily to denote their regional themes and perceptional characteristic. Thus, the notion of Bosnian literature became only an auxiliary concept of a national structural definition, which has its roots and place elsewhere rather than on this soil and in the depths of the historical experience of these people as a whole. However, this is also undoubtedly true, these works are the works of Serbian national literature, the national spirit of which is expressed primarily as an interpretation of Bosnian history and the historical experience of the Bosnian people from the perspective of the Serbian mythology and interpretation of history. The same goes for Croatian Bosnian literature, though by a combination of circumstances, it remains less pronounced. This, of course, does not mean that such inferences are now subject to criticism, for there is no room for criticism here––it is just a question of the positive documentation of the actual state of affairs. The only possible question here is about the influence and impact of that situation on Bosnian literature, which possibly might be a specific expression of the Bosnian popular spirit and its singularity, uniqueness, and authenticity, if such a spirit exists at all. The adverse effect of this retrograde historicism of identifying the popular spirit with the national one, which breaks up Bosnia as a historical and spiritual unity, may be equally demonstrated by pointing to the possible aspects of that nationalist spirit exceeding the limits of the national horizons of spiritual experience. In other words, there exists a living spiritual structure and basis of our historical experience that is deeper than the national one. The spirit that kept Bosnia together as a historical existence, as a word, and as a thought has an underlying character. This spirit itself is not yet expressed by philosophy. We have to seek it instead in the traces and elements, in the remnants and relics of our spiritual history, in the specific characteristics of our experience and the way of perceiving speech, in the works that gather and hold such elements together. The research of this kind has, regrettably, neither been conducted here, nor has it been assumed or developed as a program or an intention. There is an understanding, which is more of an intuition than a clear knowledge, that it is possible to find in our millennial Bosnian history in not only remnants, but also whole works that hold within and hide this spirit. We thus can speak about small stones, elements of a whole, of a mosaic, and even that helps us. The spiritual substance does not require quantity to be identified. It constitutes an entirety and unity even in the tiniest, smallest detail. It is a paradox that we have received both little and much from these works, the guardians and carriers of the elements of our spirit and historical experience. Little compared to everything we have been creating, but much compared to what we have let disappear without a trace. These are primarily our old towns, architecture, urbanism, stećci [medieval Bosnian tombstones], sacred monuments in general, our old books, embroidery, clothing, handicrafts, and the life-world in general. Aggressive nationalism of various kinds and the long absence of a real Bosnian position have contributed much to the decay and destruction of the cultural heritage of Bosnian provenance. Nevertheless, even such decay, however widespread, has not deprived us of that which is the most important aspect of the cultural function of spiritual heritage, namely the need to keep and persistently preserve the awareness of Bosnia and the Bosnian spirit, which makes Bosnia so peculiar and extraordinary. This is the ponderous, massive, stony, and mountainous spirit of great men from skaskas [regional folklore], the slow, immersed, and self-absorbed withdrawn spirit of the man of nature. It is the contemplative spirit of immersion into that which is bygone, eternal, and beyond the confines of the transient; into that which is on the other side of the hard, volatile, and burdensome mundane happenings and onerous existence. It is this denial of the limits of time and space as conditions for humaneness, this eternal traditional and traditionalist being as a man, as people who are, have been, and will be, in a continuous sequence. This spirit of few words and restrained motion, sparing ornament and pale colors, deprived of richness and fluttering quality, deprived of nuances and colors, massive, confident, constant, solid, restrained and somewhere on the sideline, at the end of the line, in the reflection of color, on the edge of an ornament, at the limit of a thought, on vine shoots, in hidden and covered up places, in miniature, and in the invisible in general, barely sensually animated and lasciviously vital spirit, desire, yearning and instinct. That is the spirit of a specific Bosnian ethos, chasing out truth and pursuing justice and honor, which is the reason for all to die, equally under each of the flags which have ever been flying over these ravines and valleys of ours, under this sullen and overcast sky of ours. That is why Bosnia has never been split and destroyed as an entirety, as a territory, as a tradition, as a mentality, or as a spirit, but at the same time it has never been a secular, military, and political entity, state, or single party. It has always been torn apart by this internal predatory, litigious, moralistic and puritan division, and every flag has found someone in Bosnia ready to take it and hold in the face of others. There is no rule here. The feudal nobility are against the king, the church against the heretics, the heretics against the church as well as the king, and the king against the church as well as the feudal lords and the heretics. The Turks against the Bosniaks, the Bosniaks against the Turks, both against the Cross, the Cross against the non-Cross, a Christian against a Christian, this against that, that against this, and so on to the present day. This would have continued and taken place even now had we not understood at long last that Bosnia does not belong to anyone but itself and to those who live in her and with her. The historical spirit of the Bosnian people, seemingly fragmented and divided, is starting to manifest itself as a genuine basis for a community of one people and several nations. But, while the realistic historical situation has been progressing in Bosnia through the creation of economic and financial state-building and conditions for life together, the still aggressive forms of nationalism, egotism, and historicism have been active like the echoes of the struggle over Bosnia. This struggle disclaimed Bosnia of its identity, authenticity, and distinctive quality and proclaimed it to be the legacy of one state or another, one ethnicity or another, and one culture or another. Parallel with this, there has been a national and nationalist interpretation of Bosnian culture and Bosnian experience, namely, the Bosnian spirit as Serbian, Croatian, Orthodox, Catholic, oriental, Muslim, et cetera, that is, a parochial spirit that can have and gain its dignity and value only if fully merging with its national source, with the center and womb of a national culture. This is how the nationally inspired culture came into being, which saw Bosnia only as a frontier-zone and Bosnians as frontiersmen of national spirit and national awareness and which saw history and human life only as the suffering of the national hero and the national symbol in all of its versions. From the epic hero to this lyrical and novelistic hero, it is always a sign of a separate, partial, national hero opposed to others, a symbol of an interpreter or a representative. This kind of literature was created in Bosnia in the past one hundred years, and it divided Bosnia more than many an army marching through and shedding blood on her. It divided her spirit as well, the basic principle of a common feeling and attitude to life that Bosnia had painfully created through the thousand years of her challenging history. This literature was introduced in 1870’s, but in early 20th century it gained a strong impetus with those like Kočić, Ćorović, and others, who had spiritually inspired the roused national movements, and culminated with Andrić, its best and greatest representative. 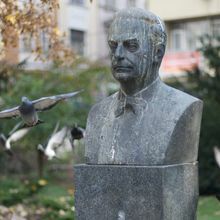 Having reached the highest level of the literature inspired by the national spirit, Andrić was bound, in his best work–– The Damned Yard (Prokleta avlija) ––to universalize his vision, which then started to loseWeight Exercise the partiality of the national; that is, the experiential and spiritual flavor or framework merged in a transcendental manner. The impossibility of remaining within the framework of the national spirit in the literature of Bosnia also became visible as the attempt of this literature to get hold of its own basis and renounce methodically the exclusive national basis of its spiritual inspiration and position. 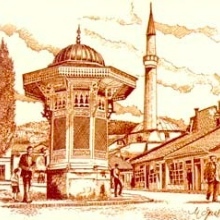 The emancipation of the Bosnian literature from the fragmentation, the ethnic spirit with respect to Bosnian historical specificity, was particularly reflected in the World War II literature. In their perception of the war and revolution, the important works of our wartime literature surpassed these limits by the immanence of their very experience and reached the depths of the popular spirit and experience and perception. The best example of this tendency of our wartime literature is Kulenović’s Stojanka, the Mother from Knežopolje (Stojanka majka Knežopoljka), which is profoundly Bosnian and, at the same time, belongs to each of our peoples. It belongs to all people who experience, in the same or similar way, the primeval eternal struggle of a people to survive in their own right and on their own land. This tendency may have been expressed in the works of some figures from our pre-war literature, such as those by Hasan Kikić. It seemed at a certain point that this was going to be only an episode, an intermezzo in the half-sleep of our literary history. Such a thought was suggested by the unnecessary and unjustified revival of national themes within the framework of the old prewar literature (The Group of Sarajevan Writers). However, before long new developments came about in the Bosnian literature. Once opened, the emancipation process could not be stopped. Not free from difficulties and spiritual confusion, this process took different directions and developed in various fields of literary creativity in Bosnia. It was children’s literature that first became its world. The extremely important development of this kind of literature in Bosnia over the past ten years is primarily a result of the fact that it was there on that turf and in that medium that the liberation from the tutorship of the national spirit was accomplished. The children’s medium was, both as the motive and as the literary audience, most open for a genuine and at the same time broad worldview of the past and the future, of life and the truth of life. Poetry became the second medium of this emancipation process. It became the scene at which this process unfolds even today and manifests itself in its various possible forms. The poetic ideas of the generation of Žalica, Sarajlić, Tahmiščić and, finally, Trifunović, have extended the boundaries of poetic thinking and perceiving the nationally imbued poetry of our Bosnian parochialism. These boundaries have equally moved in depth and in breadth. In Žalica’s works, this extension of boundaries reaches even as deep as the scramble of peoples and races wherefrom the contours of our national entities emerge, while with Sarajlić and Tahmiščić, they strive after a universal perceptional basis expressed in different ways, but essentially the same. However, as much as the progress of the Bosnian literature lies in these processes, so do its serious weaknesses and difficulties. In the fundamental and important aspiration to raise the poetry above the narrowly traditionalist, regionalist, and romanticist national spirit up to the broad, universal, cosmopolitan visions of the modern man, there lies also the weakness of abstraction, of full declarative and declamatory cosmopolitanism, the loss of depth and Lose Weight Exercise of a specific historical experience and perception––the substance of the popular spirit of the world, rendered in the unity of words, ideas, visions, feelings, namely, the essence of poetic existence. That is why this poetry, despite its significant aspiration to emancipation, appears as a separation from the primeval, popular, and human historical spirit. Having thus separated from it, this poetry achieves its universal quality and level and relation to the world by purely verbal means. Then, it is inevitably the epigone poetry of great, alien words, thoughts, ideas, and names that capture the cosmopolitan dimension by virtue of external means rather than by the internal raising of consciousness and ennobling its own expressive, conceptual, and spiritual stock in general. Hence, despite the progress that this poetry has made in general, and in some individual achievements in particular, it remains to be abstract and alien, not in its method but rather in its spirit. The emancipation process in the field of story-writing literature has been much slower and more difficult, which is understandable, taking into account the fact that the basic idea of the national interpretation of Bosnian literature and its history had been the idea of the so-called “Bosnian story” that was proclaimed a model and flower for Serbian literature and that then set the tone for Bosnian literature, particularly in the period dominated by the Group of Sarajevan Writers. However, as slow as this process was, it was all the more thorough. There were two key landmarks that have determined the subsequent destiny of the genuine Bosnian story and novel in terms of spirit. These are Derviš Sušić and Meša Selimović. Sušić had announced his specific vision of Bosnia as a special world with its own spirit and culture of perception expressed in the mentality and the human nature as early as in his first great work, I, Danilo (Ja, Danilo). This work, which for its completeness and richness excels almost everything written in our post-war satirical prose, is not of primary interest for its in part already established and recognized value. From our perspective, it is significant for having revealed an indigenous and quite specific self-possessed life of Bosnia as opposed to the romanticist and other parochial interpretations to which Bosnia was subjected. With the skill of a master, Sušić unveils the features of this world from the very first page to the last, from Danilo’s neighbor trying to avoid saying hello to his neighbor, for who knows whom and what the neighbor is. Every salutation in Bosnia is some kind of password and sign of belonging to a group behind a flag, therefore he chooses the most neutral words possible to use for a human encounter: “It’s scorching hot today”. To that Advan from a small town, who has not left his shop storage for years, “for Bosnia is a strange land, it has the most poisonous air in the world,” therefore one should not come out into the open unless absolutely necessary. This wonderful novel––which was, oddly enough, received better everywhere else it appeared than by Bosnian literature critics––is nevertheless only a starting point toward disclosing the Bosnian truth. The latest work by Sušić, Riots (Pobune), represents an already established and clear view. This book is very significant for Bosnian literature. It is the first literary vision of our authentic Bosnian history in the past five hundred years. Its value lies in the fact that this history, like human life, experience, and destiny, is free from anything external, of any historicism, any mythology, and any national, religious, regional or other layer of interpretation. Here, it is revealed directly in the night of its full human truth, and by that truth it directly becomes equally universal, human and prophetic in general. The Pilavijas, the Hatemićis, the converts to Islam, the serfs, the beys, the heretics, the Orthodox, the heroes, the cowards, the merchants, the paupers, the respectable citizens, and the communist firebrands–– all these are our people. This is each and every one of us, without differences as to our historical truth, like eternal sufferers and fighters, like salt in the bread of this land: hard, robust and at the same time sensitive and soft, naive and at the same time cunning, rich and poor, always passionate and always in our own house in our own ash-grey and brutal country. Strange people, derisory and ironical to any living creature, to even the greatest of the greats, but still most to ourselves, poets without myths or myth mania, tender realists, puritans, but passionate. Such people, who have followed each other from generation to generation, with only Bosnia holding them together in a string stronger than any mythic, religious, family or other tie, are the people of this land, its greatest and most complete truth. This all has made Sušić’s work a first-class event in Bosnian literature and the work in which this history acquired finally its authentic artistic vision and interpretation. 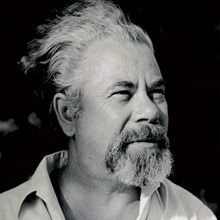 Meša Selimović demonstrated his significant literary potential already in his first novel, Silences (Tišine). The quiet reception of the Silences by our public was probably the sign of the prevailing writer’s ambition and the book’s characteristic to be pure in literary, artistic, stylistic, and aesthetical terms. It is a precursor of significant potential, but fails to point to or determine the field in which this potential will be realized. All the more great and significant our joy is that this significant potential has been realized in a novel like Selimović’s Death and the Dervish (Derviš i smrt). In addition to its literary and artistic perfection, the novel Death and the Dervish is significant in Bosnian literature for the fact that this novel clearly and unambiguously shows that regionalism, parochialism, and historicism actually represent conceptual, artistic, spiritual, and philosophical rather than geographic or other attributes. This novel shows that geographical and historical relations mean little in terms of art, and that great dramas and human experiences can take place here as well, where the current, political mainstream does not take its course. Beside that, Selimović has clearly shown that Bosnia was and still is the arena of such events inside the people and around them which, by their intensity and forms they take, necessarily have the dimensions of the world and general human dilemmas and events: right––lack of right, force––freedom, violence—mercy, state––its subjects, God––man, believer––renegade. This all happens and takes place in Bosnia, in the country that we know and recognize in the people and the thoughts tormenting and haunting them. There we see ourselves; each of us sees ourselves in different ways, in different parts of our lives, experiences, hopes, anxieties, thoughts, and dreams. These works and their link to the life, history, feelings, and hopes of our Bosnian man have rounded off the Bosnian literature, for the first time in the last decade or so, as a coherent literature, with its main ideas and literary forms. It takes a strong stride onto the scene of our culture as an established, completed, and developed spiritual position, as an expression of our spirit. From now on, Yugoslavia will have to reckon on the Bosnian literature, its role and significance in a different way; namely, it will have to reckon on the Bosnian spirit of the Bosnian literature. From the viewpoint of the poetic discovery of Bosnia and the Bosnian spirit and from the viewpoint of the revelation of poetry in the Bosnian spiritual tradition, Dizdar’s work The Stone Sleeper (Kameni spavač) is a kind of milestone. That is why it appears that this poetry ought to be explored first of all in terms of its constituent function in the structure of the Bosnian literature. Therefore, this essay is not a literary-critical or aesthetical approach to this poetry; it is rather a cultural-historical and philosophical evaluation that also uses aesthetical and literary-critical conclusions as its premises. It builds its positions and proofs with another approach, that is, with the cultural-historical and philosophical dimension. But, let us first see what are the literary-poetic values and characteristics that are revealed by virtue of this phenomenon that we refer to as the Bosnian spirit. Literary theory and criticism bring literature and poetry, in particular, into correlation with myth and mythology. It is generally considered that many poetic ideas have their source in the inspiration of a mythical experience. Thus a popular or national myth, being essentially a poetic, visual artistic experience and reproduction of history, serves as a source of literary, artistic, and poetic ideas. Notwithstanding, however, the difference that exists between the socalled popular, e.g., a type of Greek myth, and the national, e.g., a type of Kosovo myth (which may be the reason for significant distinctions in the ethics and historical function of art) when it comes to Bosnia is quite another matter. Namely, Bosnia does not have its myth or its mythology. The national myth was not possible in Bosnia simply because there is no Bosnian nation. At the same time, there neither is a popular Bosnian myth. That is, a Bosnian does not perceive himself or his history in a mythical way. All attempts to create such a myth, such as repeated attempts to create a Bogomil myth, have brought no results. Mythology was not possible in Bosnia. Therefore, although Bosnia has its external elements of a mythical world, experiencing the collapse of its state, the death of its king, the loss of the ancestral faith, persecution, struggles against Rome, struggles against Stamboul, etc., this history was not transformed into a myth. The reason is not that there was no autochthonous creativity in Bosnia to carry the mythical perception of the Bosnian history. On the contrary, a rich and diverse poetry, both lyric and epic, was created in Bosnia. Some of the most beautiful jewels of this poetry in South Slavs owe to the creative genius of the Bosnian man. The Bosnian popular lyric poetry is genuinely lyrical, while the epic poetry is secular, temperate, derisory, and satirical by its mentality and spirit. It cannot bear tragic heroes whose destinies make a realistic view of life and the differences in human lives impossible. Its heroes are often comic or just honest, naïve, lionhearted peasants. They are real, flesh-and-blood persons. Hence, the reason why Bosnia has no mythology of its own lies simply in the very structure of Bosnian life and spirit, built in such a way as to prevent exaltation, remaining always aware of the limits of the world and people. However, the question is whether the absence of the myth also implies the impossibility of the Bosnian poetic idea and Bosnian poetry. I think not. A historical spirit does not necessarily have to be expressed in a mythical structure if it manages to be always materialized and planned in life. If we look at Bosnia from the medieval time (which came to an end in Jajce) to the present one, we will discover the Bosnian spirit everywhere and always––in its towns hidden from the view of a stranger and uniquely revealed to its residents, in its houses of bulky and heavy dimensions having roofs covered with light shingle, in heavy woolen folk costumes, streaked with the loveliest miniature ornaments and embroidery, in mentality, in songs and dances, in tales and oral tradition––a single spirit, a single attitude and experience displayed and clear to such an extent that it is virtually imperceptible. Since the Bosnian spirit is not secret and hidden in monasteries or in forests full of brigands, it is a clear and visible movement, an attitude, a behavior, a way of thinking equally shared by Catholics, Orthodox, and Muslims, by those who speak in ikavian and in jekavian dialects, by townsmen and peasants. This is what has kept Bosnia being herself throughout her long unfortunate history, the only principle which has always been integral in terms of territory and unique as historical existence, and the only principle that has not reached the national spirit or idea or the national state constitution. Under the pressure of various sorts of nationalism, the prejudice had long prevailed that the Bosnian history from 1463 to 1878 was a period of its absence from the context of our South- Slavic, European, popular world history. That prejudice denied the role and importance that Islam had in European history and the Islamic world mission. There is no need to prove how narrow-minded such views are from the perspective of the truth of world history, since these issues would reach beyond the framework of this essay. Let me just give a word of caution and say that it is deemed in today’s world that denying Islamic influence on European history, particularly via the Balkans, is one of the greatest weaknesses of contemporary European historiography. However, it is perhaps necessary to point to the fact that the Islamic tradition was especially assimilated in Bosnia, owing not so much to the pressure and the power of the conqueror as to the means and the influence of the spiritual relation. The puritanism and secularism of Islam and the absence of established church and ecclesiastical hierarchy or developed dogma and theology were suitable to the already created characteristics of the Bosnian view, the way of thinking and the spirit in general. Therefore, its assimilation in Bosnia was the strongest and the longest lasting, and, from the perspective of our human culture, gave an essential contribution to its riches. Bosnian Muslims and Bosnian Islam considerably differ from other Muslims. Their Islam is blended with the elements of the popular tradition of our Bosnian and generally Slavic provenance. However, the issue of interest now is primarily the one pertaining to the relation of Dizdar’s poetry toward the Bosnian spirit, and I should therefore turn to it. It seems no accident that, among Bosnian poets, it was first Mak Dizdar to seek his inspiration, poetic ideas, images, and metaphors from within the holdings of the Bosnian spiritual creativity and tradition. I have already had an opportunity to observe that the poetry of Mak Dizdar is unique for a certain pagan mentality and perception. I noted this characteristic in an earlier piece on his poetry, notably the one on the collections: The Cruelty of a Circle (Okrutnosti kruga) and A Lady Swimmer (Plivačica). This pagan trait, that is, a direct view of the world and humanity inspired by nature, was the main setting for a significant poetry that required further shaping and definition in poetic and philosophical terms. To find this, Dizdar looked into the mentality, language, perception, traces, and tradition of old Bosnia, in its dilemmas, contradictions, fates, struggles, and joys, which stand like an undiscovered world, like an Arcadia of ours that we are yet to reach, concealed by heavy stony stećci which hide its entrance. In the collection The Stone Sleeper, which is inadequately balanced with respect to the basis and source of inspiration and the spirit of poetic speech, there are nevertheless so many extremely significant poetic achievements that need to be emphasized and that reflect the poetic value of what we call the Bosnian spirit. Such poems ought to be singled out to show what it is that characterizes these poems and this poetry as being authentically Bosnian. These bones your flesh will soon gore. But there is nothing for anyone except stone and smoke. Of these two arms, is one not yours? The one that wants the other to kill? The human limits are shown here in the unusual, impressive, sensuous immediacy, in an experience imbued with a direct, common, but impressive perception of a man who sees even himself as an inherent contradiction. Therefore this inner contradiction as a human essence is expressed both as a constant human essence and as a constant mutual but certainly ongoing struggle and contradiction, when two arms fight with each other and “want to kill the other,” when the flesh itself is gored by its bones. The value of this poetry is in the universal quality of its perceptions and, at the same time, in the immediacy and the direct motivation of its poetic images and metaphors, in the manner in which these ideas are presented, which is equally simple and universally understandable. A common popular spirit is felt in this poetry as well as in the experience of the hardship of life and dangers of existence, which are hidden in the man himself as well as in the other one. In A Word on the Sky (Slovo o nebu), there is the Poem of the Righteous (Pjesma pravednika) which contains verses that deepen this same thought, but now expressed as the opposition between man and death, between earth and heaven. The secret of death and heaven, without which there is no knowledge, earth or life, is universal for all people. It does not distinguish between an intellectual and a peasant, a slave and a master. We find peaceful and traditional hunting pictures of noblemen and their hounds, whom an unknown stone-carver leaves in stone as an eternal monument not of their hunting skill, but of his skill to “humbly draw and truly inscribe” in those “great and white stones”. The entire poem represents a pearl for an intrinsic affinity of words, images, ideas, and nature, which are expressed in them. The transience of human greatness, power, weapons, and wrath, and the eternity of that skill to “humbly” and “truly” capture an image, life, man in those “invisible” threads and leave for eternity. I do not know of a poem in our literature that expresses the problem of an artist, the essence of his work, and the attitude to life in as fine and direct way, using such reliable, kin, and revealing words and images as this one. The expression is so strong and dense that the idea can almost be sensed, touched, and seen in the stone, in the stećak that turns up before us. How do we go back to our source? This is also an eternal question with which all people are confronted. Our permanent flowing away into time, into old age, into death, into our issue that keeps on asking the question of the sense by way of return. And the poem is such, in which this flowing away of ours into the infinite estrangement of our ways of existence, is expressed in its essence, in all the magnitude and tragedy of our inability to go back to ourselves. The motive of human destiny and coming to an end in the darkness of one’s grave recurs again in a ballad fashion, uttering that final and irrevocable truth, like an inner faith of our human things, works, life, conduct, and everything else we as humans do in life. That inevitability does not distinguish between others and us. It is just that the good one, like Radojica, who was always smiling and cheerful and who had not complained of life, has got his poem, in memory of the simple human greatness and wisdom, to remain being good in this world whatever it is. In this same group, there is one of the best poems in our poetry, the poem The Bitter (Gorčin). This poem is so simple; it tells so much about itself that it requires no interpretation. A man does not perish “without shield and armor” in this or that war; a man is killed for human causes. He lives and calls out death because he does not lie in his own land, but on someone else’s heritage, and he dies because they take away from him what is dearest to him. The destiny of each one of our men is the destiny of Gorčin, and that is why it is bitter, and the bitterness has become part of each one of us. And Gorčin is the bitterness in us all who lived over time and millennia and lay on our and someone else’s land, whose lives were harder than death, for we could not bear the eternal suffering and pain of a poor man, a slave, without consolation or love. The power of this poem can only compare with the magnificent simplicity of its truth and words. There are also The Sunny Christ (Sunčani Hristos), Doors (Vrata), A Wreath (Vijenac), Four Riders (Četiri jahača), and Brotnjice, each of them carrying the truth of life in its often naïve plainness and simplicity. Can there be a snake without venom, can there be a man without a foe, can a life be lived without a death? Our love is like a bird that flies down into the soil’s nest and rests there weary. But, in spite of everything, there always sprouts a new germ, a new life cheers, the flame that burns out our houses will light the way for us to build new ones. This same motive of destiny, war, struggle, death, and resistance hidden somewhere deep inside can be found in the excellent poem Controversy (Razmirje), which seems to have expressed the essence of our entire historical existence. It is our history in the unique play of our fates, names, and hopeless renewals without end. This is how our generations have been born, vanishing but at the same time preserving traces, words, and memories of the meaning of that destiny, the awareness of it, the protest against it, so that one day, the fatal sequence might disappear. What is that, with all due respect? This is how a history of a land, both known and unknown, comes to a closure in these verses; a land that is asked about and answered in a strange way––a strange land, strange people, and strange destinies. They render the profound truth of our Bosnia––life, death, birth, and vain effort. You cannot reach the sky, you do not want to go into the earth, you bequeath to your offspring your strength and faith for the better––for the people, for the stones, for the wine grapes, for everything that is close to you and indestructible. It always reminds us of our ancestors, of the truths and turns of life; it always inspires and arouses hope––duration and perseverance, oblivion and memory, tranquility and love. That is the truth of this poetry. But before even attempting, based on examples and excerpts from Dizdar’s poetry, to show what is Bosnian about it and where this Bosnian spirit lies in his poetry, I wish to point to the unique quality of his poetic expression. His poetic language is not artificial, even as he makes some innovations and uses archaisms as well as other innovations, the linguistic value of which is yet to be established. What is most important for his language is that these archaisms have an inner motivation and conform to the idea of expressing the destiny of Bosnia through poetry. Besides that, though, many words of ours have received rehabilitation in this poetry, which shows how much of the expressive and poetic pool of our culture we have lost by discarding many words that have significant expressive and poetic value. For example, the words which Dizdar rehabilitated in this way are: visokan, žilište, igrište, ročište, navist, sut, rastepsti, eže, nevidimi, inosušan, izovni, ozvjezdani, glagoljavi, traviti, zatok, vilni, gordinje, pletisanak, kajni, končina, nespina, badac, smuditi. Many of these words have exceptional poetic value; they speak in a popular manner; and their introduction to us by Dizdar is their true rehabilitation. I have already noted that the primary goal of this essay is not to establish the artistic and aesthetical value of Dizdar’s poetry; for this purpose, it would be sufficient to assume the respective critical judgments that have already been expressed and made. However, it would be equally wrong if we were to assume that the artistic value of this land is irrelevant for the thesis of this essay on the Bosnian spirit in Bosnian literature. A literature and its spirit win final and irrevocable recognition only upon the creation, in the bosom of its spiritual climate, of great works that stay behind as lasting monuments of the creative power of that spirit. For Bosnian literature it would be enough to have the creative spirit of even a single one of such significant works recognized. But, if a literature wants to occupy a distinctive place in the life and history of a people, it must be established as a whole and offer significant achievements in all forms of art. That is why, in the context of this attempt, the question of the artistic value of Dizdar’s poetry becomes important. The artistic value of the poetry of The Stone Sleeper is in the abundance of its ideas, in the unity of these ideas and the life expressed by them, in the close relationship between the poetic ideas and living experiences expressed in common perceptions, the way of thinking and expressing in words, metaphors, images, in the flavor, color, and atmosphere of these words, images and perceptions. This all can be clearly shown in the case of Mak Dizdar’s poetry. In this poetry, in its themes and ideas, in its images, words, and metaphors, one can feel Bosnia, the Bosnian life, man, history, experience, mentality, sensibility, and destiny. It is also expressed in the ideas that have eternal human value. These are the ideas of death, life, struggle, love, liberation, and creation––the eternal and general human ideas. At the same time, they are not empty; they occur in a context, motive, atmosphere, in colors, and flavor of the real, our Bosnian circumstances, destiny, history, and experience. They are rendered in our language, rich, sonorous, precise, blended with old words in evoking old images and people and new ones showing the continuity of our feelings and thoughts. The metaphors are beautiful, heavy, graphic, direct, animal, somatic, and rich in direct experience and revelation. The artistic value of this poetry is therefore based on all essential elements of superior poetic creativity. What particularly adds to the impressiveness of this poetry is the discovery of the world expressed by this poetry as a complement to its artistic value. Nevertheless, in addition to its artistic value, this poetry is also valuable to us for expressing, in the form of poetic ideas, certain important aspects of our Bosnian spirit. What are these ideas? Whenever talking about ideas, one should keep in mind that ideas are not mere words and abstract notions. Ideas are entire concepts that always keep inside an indication of the world, images, and phenomena they express. An idea is always imbued with sensuality, the reality which it presents to our spirit. When discussing poetic ideas, one also has to bear in mind that the poetic ideas are characterized by spontaneity expressed in the freedom of the image or metaphor in which they are presented. The main poetic ideas of Dizdar’s poetry are the ideas of: the contradiction of human nature, destiny as a boundary from birth to grave, loneliness between the earth and the grave directed toward the heavens, the righteous one, the savior, God, estrangement from primordial times as our foundation, creation as the destiny of the exceptional, the bitterness of living and of death, soil, venom, snakes, stone, flame, our perpetual service to others, lords, war, rebellion and hope, the continual return, the perpetual motion of life, bare, fasting, cold, hungry, but defiant. It is enough just to enumerate these ideas to see clearly that they are real, human, and eternal in time and space. These are the ideas that generally express a human attitude toward oneself and the world. According to these ideas, this is a position of a universal, world significance. Particular value of these ideas can be found in the fact that they are rendered in the original, our medium, and expressed in the manner and use of words in which our man can actually experience something. Human destiny as a containment within bodily limits, as an eternal war between the body and desires––as their conflict and the conflict of people, as eternally entering into wars and ending in graves, striving to surpass their finality in a figure drawn and carved out in stone, as eternal flowing away from the source, as a bitterness of life in the land of snakes, venom, flames, and stones, foreign masters and loved ones taken into slavery, in the land where Vučihna is born to Vukac, all the way to Vukoman, and where Vukovićs, Vučićs, Vukanovićs, Vukomanovićs, etcetera dwell forever, all the way up to us and with us, in our Bosnia, bare, naked, cold, hungry, fasting, and defiant. One can always recognize here our land, our destiny, our man, our history, our experience, our spirit, that bitter, derisory, distrustful spirit of patience, waiting, resistance, and faith in what is yet to come. From the perspective of the Bosnian spirit, the poetry of Mak Dizdar has a great value, and, as a result, notably as guidance, showing us the ways whereby our poetry can raise the creative potential of our literature to an enviable level of universal human thought, while not losing its link with its own soil, not ceasing to be authentic, unique, and original for these people, this climate and world, connected and founded somewhere deep inside the profundity of the Bosnian spirit. This insight was actually the principal reason why I have presented these thoughts. “The Bosnian Spirit––What is It?” was first published in the journal Život in 1967.